The great anime ‘ Attack on Titan ‘has caused Asian producers want to squeeze the maximum. Como well know, shortly a live-action film version divided into two films is expected to arrive in Spain before the end of 2015 it will be released, but the news now is that we can have a look at powerful TV trailer for the prequel real image. 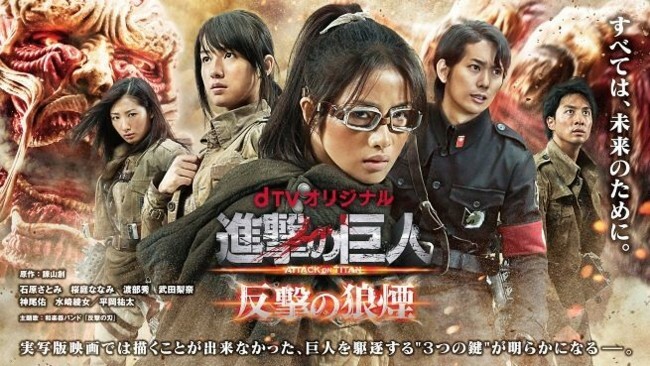 This television prequel born as a complement to the movies as focuses on the character of Hanji , played by Satomi Ishihara and his story focuses on early research on the Titans and development needed to battle monsters technology. The premiere of this just three episodes miniseries is scheduled for next August 15 in DTV. News ‘Attack on Titan’ trailer for the prequel powerful real image was originally published in Go Tele by Mikel Zorrilla . ← How does the ABS of a car?